Me, when I made my last birdie. I´m a good example of the second paragraph. Last tournament (72 holes - 6700 yards, par 70, rating 72, fast greens) I lost 20 strokes against a pro. You could say that i just need to improve my putting to compete on PGA tour.. but no.. That´s my stats on a 6700 yards course. 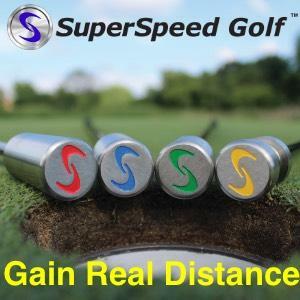 On a 7500 yards course set up for a PGA venue with a rating of 76 my stroke gained Driving and Appr will rocket to the sky, above my poor putting stats. Calm down man. We're talking here, and until @Herkimer stops talking*, we're all still in it. * Though that may have already occurred, who knows…? @Herkimer That’s pretty straightforward no? You’re not reading nor making any effort to think reasonable about this. Why are you doing that? What’s your concern about putting be the Holy Grail of golf? Here is a way of looking at it. At the end of the week, the guy who wins probably had a good week putting. There is a lot of randomness in putting. A machine won't hole every putt even if you get hours to calibrate it over a 20 foot putt, it won't hole them all. People hole 20 foot putts, but they also miss them. They miss them a lot more than they hole them. Even the best. If they have a week where they hole more than their fair share they have a decent chance of winning. But no one holes more than their fair share every week. It's a lot more common for a player to have a day where they have a +4 strokes gained putting than it is to have a +4 strokes gained driving. But it's a lot more likely that the guy who averages +1 strokes gained driving will be at +1 strokes gained driving every week. 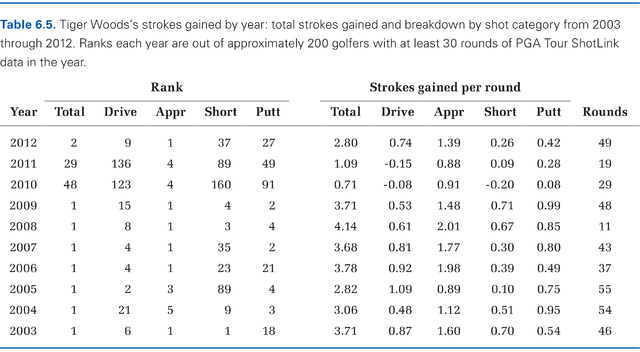 That guy who does that and gets on a hot streak with the putter is going to win a lot more often than the guy who averages -1 strokes gained driving and gets hot with the putter from time to time. The reason that Tiger was so good for so long is because he was +0.7 driving and +2.5 approach every round. He could just putt average and be in contention, because he was beating everyone so hard from tee to green. Then when he had his good days on the greens, he'd obliterate the field. That wasn't because he was the best putter though. It's because he hit it close more than anyone else and gave himself the most opportunities. The problem with thinking back on your own rounds is that you remember the days when your putting was lights out, because those coincide with the low scores. But you can't putt lights out every time. 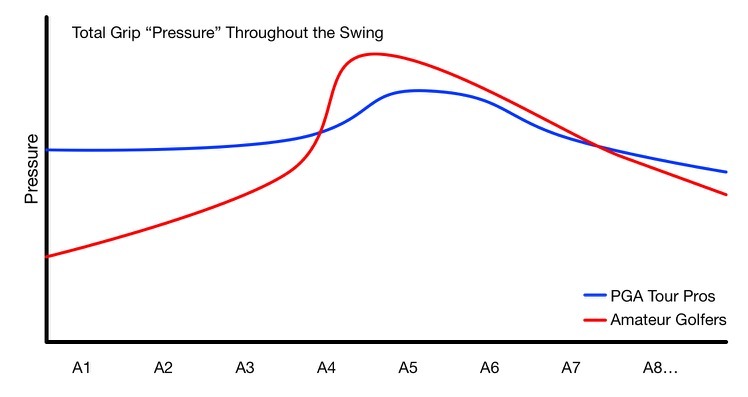 Your putting on a given day dictates where in your typical range of scores you are going to wind up. Your long game dictates where that range of scores is. Take a scratch golfer. One who is a mediocre putter and pick anyone in the world to putt for them. They're not going to make it on the PGA Tour. Not a chance.